Nonprofit leadership is messy Nonprofits leaders are optimistic by nature. They believe with time, energy, smarts, strategy and sheer will, they can change the world. But as staff or board leader, you know nonprofits present unique challenges. Too many cooks, not enough money, an abundance of passion. It’s enough to make you feel overwhelmed and alone. The people you help need you to be successful. But there are so many obstacles: a micromanaging board that doesn’t understand its true role; insufficient fundraising and donors who make unreasonable demands; unclear and inconsistent messaging and marketing; a leader who’s a star in her sector but a difficult boss… And yet, many nonprofits do thrive. 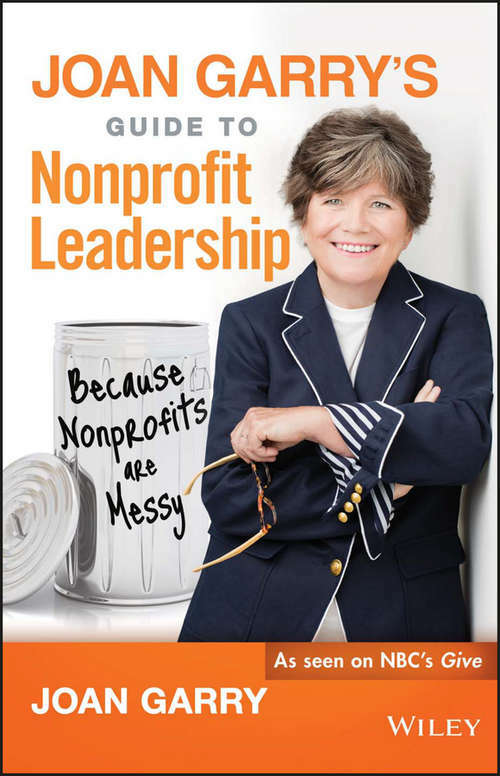 Joan Garry’s Guide to Nonprofit Leadership will show you how to do just that. Funny, honest, intensely actionable, and based on her decades of experience, this is the book Joan Garry wishes she had when she led GLAAD out of a financial crisis in 1997. Joan will teach you how to: Build a powerhouse board Create an impressive and sustainable fundraising program Become seen as a ‘workplace of choice’ Be a compelling public face of your nonprofit This book will renew your passion for your mission and organization, and help you make a bigger difference in the world.